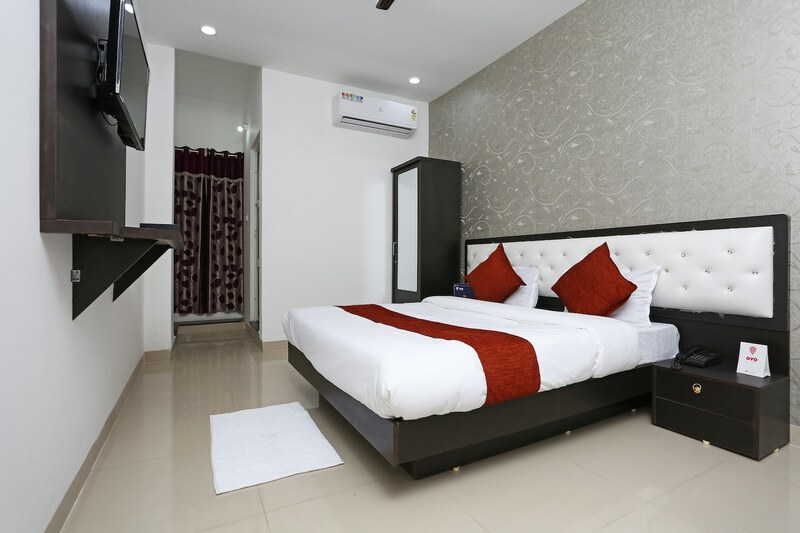 The White Oak Hotel is a popular hotel among travellers frequently visiting Bhopal. It offers the perfect combination of thoughtful decor and modern amenities. The walls are painted in deep hues and the color of the bedsheets and curtains are maintained in such a way that they complement the colors of the wall. The rooms are provided with a personal closet, a dressing table, a chair and a table for furniture. The bathrooms are well-equipped to provide a complete experience to the guests. The property also provides a host of amenities including power backup, parking facility and CCTV cameras.